It’s been quite a while since I last posted on the blog, so I felt I should explain what I’ve been up to. Well firstly, work has been particularly busy, I won’t go into details here as this is a place I don’t discuss work stuff, but for a number of months I was working on a pretty important project that required long days that ate into the weekend. The good news is that’s all over. The real “distraction”, that’s kept me away from photography and posting pictures, has been my Harley Davidson. I owned a Harley around 14 years ago and had a couple of accidents. In both cases the fault was my own and Lisa and I had a conversation about how if I continued I’d probably kill myself. So, after a couple of years I sold the bike. Being totally honest, I did ride the bike way too fast at the time, so it probably saved my life. Anyway, time went by, and I got older. Last year I was driving my sports car around town and realized I was doing 5 miles below the speed limit. Clearly, something had changed. 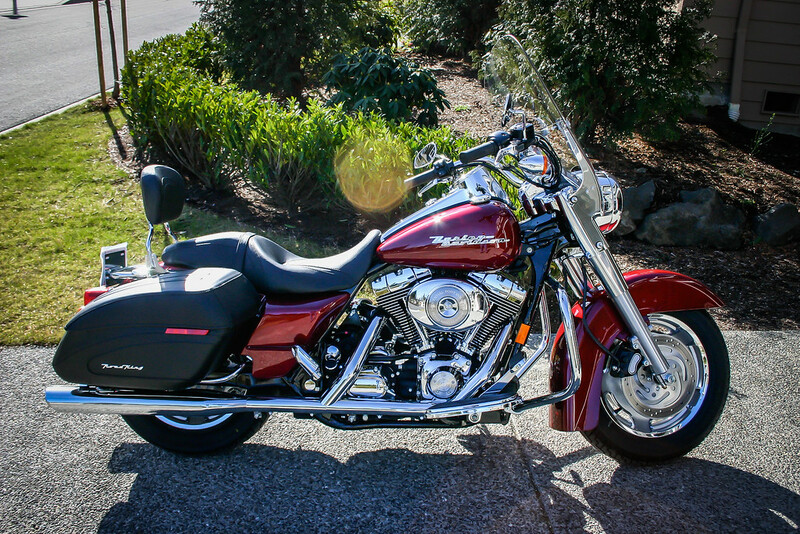 As I have a thing for Harley’s, I convinced Lisa to let me buy a new one for my 53rd birthday. I went to the dealership and picked the bike I wanted. Everything was looking great. That is until one month later when Harley Davidson announced and released their new engine. By this time, I had ridden over 2500 miles on my new bike – that was just by hitting the road at weekends and evenings. But I really liked the idea of that new engine and after a long discussion with Lisa, I traded in my 2 month old motorcycle for another one. 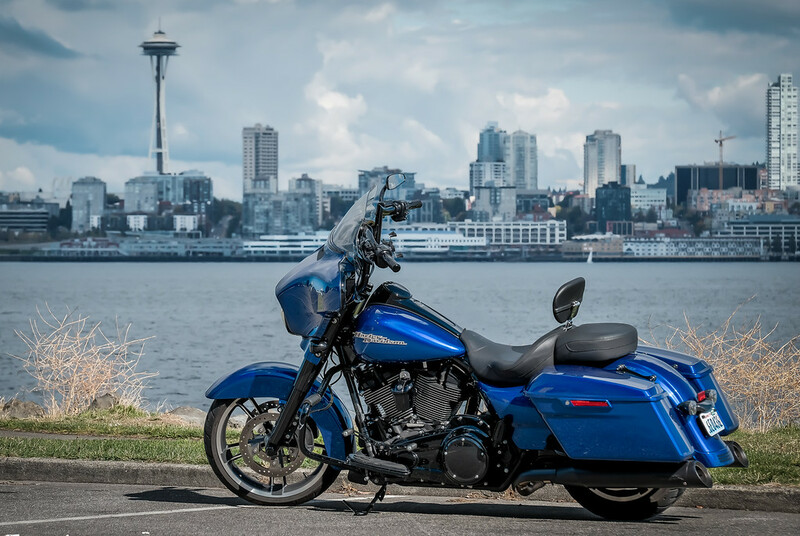 This new bike was a Superior Blue, 2017 Harley-Davidson Street Glide Special with the new Milwaukee Eight Engine. It’s usual for Harley owners to customize their bikes to make them unique, and of course, as a keen Harley owner, that’s what I wanted to do too. So, what did I want to do? Well, my Harley came pretty chromed up! Yet the craze at the moment is to black bikes out (or “murder” them out). I’d seen a few bikes that looked like this and they looked super cool. So, I liked the idea of that. I also wanted to add more power (yes, my 1750cc engine just wasn’t big enough). 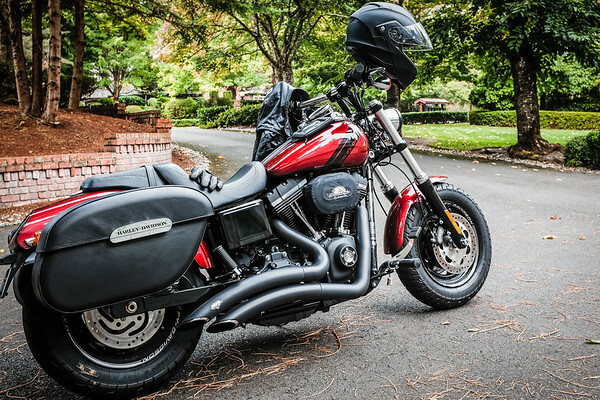 Oh, and I wanted a better seat, new handlebars and better speakers (my bike has a radio, GPS and connects to my iPhone). Now I won’t lie, this shopping list was going to cost , but I figured I’d take my time and do it slowly, so it didn’t hurt so much. Well “the best laid plans of mice and men” are rubbish as we all know, and here I am one year later and everything is done! I literally have every part I could buy on the bike – much to Lisa’s delight. The good news is, the bike is done and here’s a pic so you can check it out. I should also explain that while Harley do provide a ton of accessories, they don’t do “EVERYTHING” in black, so I took parts off and got them powder coated black to finish the job. To keep costs down, I did most of the work myself. I got a load of tools and saved myself thousands in dealership costs. The good news is a I learnt a ton and now know my bike REALLY well. Just so you know, the last year hasn’t been about customizing a bike. It’s actually been about riding a bike. I’ve travelled over 7,000 miles so far (9,500 if you include my other bike), all on weekend trips getting out and exploring the Pacific North West. So, it’s done right? Well, kind’a. You see I can’t completely customize my bike and leave it the same color now can I? So, I’m going to get it custom painted. Don’t know when, or what color, but once complete I’ll share the results. You are probably asking yourself as you read this, ok Tony, you have a nice bike, but WHY ARE YOU DOING THIS? That’s harder to explain so I’ll post another blog posting soon to try. Just for info’s sake, here are pics of my other two Harleys, the first is the pic of my original bike 14 years ago (that was a Road King Custom), and the second was the bike I bought last year that I kept for two months (sorry Lisa), that was a Fat Bob!